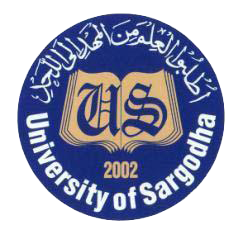 Sargodha, University of Sargodha has already conducted the UoS MA / MSc classes annual exams 2019 and now the students received their UoS MA/MSc results 2019 after few months of finishing of the exams. The exams department of UoS has already conducted the MA Economics part 1 and composite and MSc Mathematics part 1 and composite annual exams 2018. The candidates will get latest updates regarding their UoS MA Economics / MSc Mathematics annual exams result 2019. You Can Get Sargodha University MA Result Here.